Dubbed The Princess of Jazz. She was known for fusing jazz and mugam with the avant-garde and classical. She studied classical piano before her father's sudden passing made her rethink her artistic choices. She had two favorite hobbies: painting and sleeping. 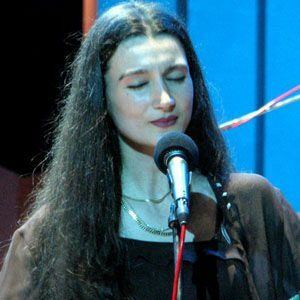 Her father, Vagif Mustafa Zadeh, created a fusion between jazz and the traditional Azerbaijani mugam. She continued in her father's footsteps, playing mugam-influenced music to great acclaim even outside of her native Azerbaijan. She re-interpreted Dave Brubeck's Take Five for one of her albums.